DISCLOSURE: This post is sponsored by Netflix, but all opinions are my own. Over the course of 12 years, I've hosted 28 birthday parties. I'm going to let that number sink in for a few moments. 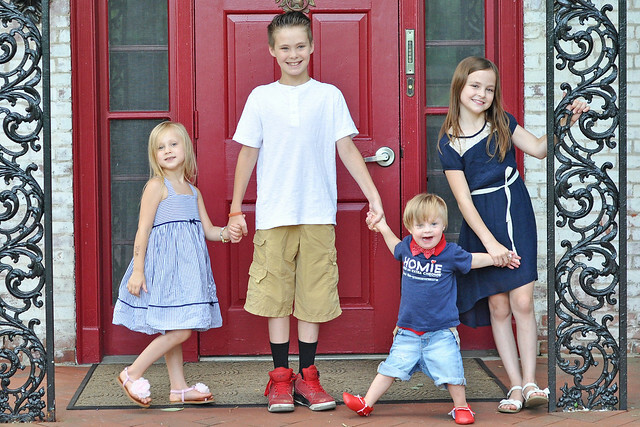 It doesn't seem possible, but with four kids, birthday parties happen often! 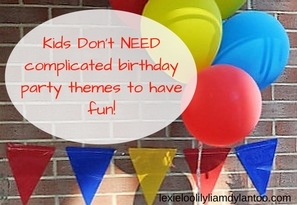 We've tackled birthday parties of every kind! I've hosted parties so big that there was barely enough room for all the guests, and parties that were small and intimate. We've had destination parties, outdoor parties and parties in our home. I've hosted big parties and small parties, and parties with complex themes and parties with no theme. And with all that experience, I learned one big lesson: kids don't really care as much as you think they do about the party theme! Actually, it's the parents who obsess over coming up with the perfect theme. Moms are wasting hours of precious time and hundreds (sometimes even thousands) of dollars to throw their child a dream party. When they share all the details on social media, the focus tends to be more on what they did instead of the fun their child had. Think about all the awe-inspiring birthday party posts you have read. You probably scroll through dozens of beautiful photos sharing every incredible detail, and only see one or two pictures of the birthday boy or girl. I've been guilty of it, but I finally reached the point where I realized that I lost my focus. My focus should be on showering my child with love and attention, instead of always worrying about every single detail of hosting a brag-worthy birthday party. I put that theory to the test last month. Between weddings, picnics, family reunions, soccer games, and vacation, there literally wasn't a single available weekend to host a big birthday party for Lily and Liam OR any time to plan it. I stressed over it for a few weeks, then finally gave up and blocked out a few hours of time on a busy Saturday. I invited our closest family members and friends for an impromptu, THEME-LESS birthday party! That's right. We didn't have a theme. We had a few gender neutral party supplies, candles, and a plain store-bought cake. We didn't even bother with favors. And guess what? I wasn't the least bit stressed out, I was able to sit with my guests for once, and the smiles on Lily and Liam's faces were so big as they spent time with their favorite people. Despite not having all the usual bells and whistles, Lily still declared it the "best party ever." The lesson I learned is that sometimes it's okay to just host an ordinary birthday party with just the basics. Sometimes it's good to simplify things, stop competing with other moms, stop worrying about sharing on social media, and just focus on the moments instead of the things. That's literally all they need in order to have a special day! 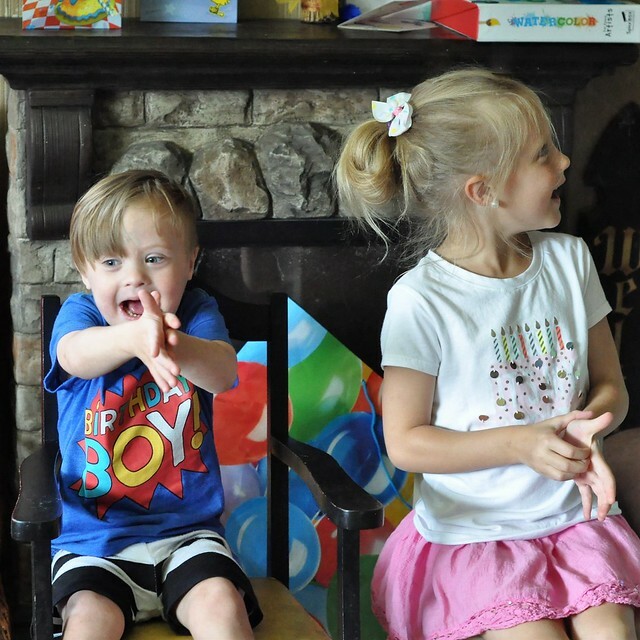 Once those three things are covered, they are destined to have an awesome birthday party! 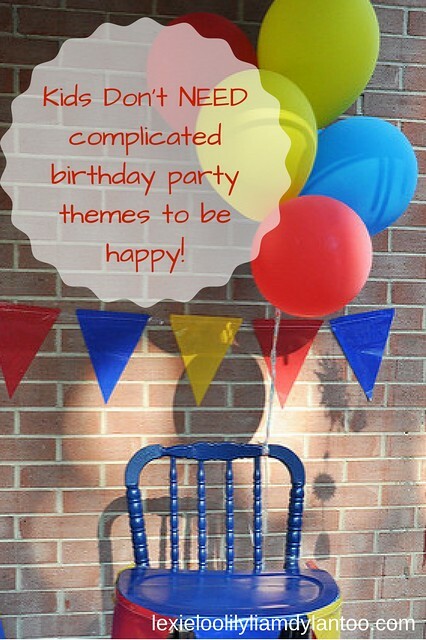 Simplifying a birthday party and getting back to the basics was both freeing and refreshing at the same time! For the first time in 12 years, I was able to enjoy a party instead of wasting hours of time and hundreds of dollars on a theme they quickly forget. I can't say I won't EVER host a theme party again, but I'm less likely to become overwhelmed by something that doesn't matter as much as I once thought it did! 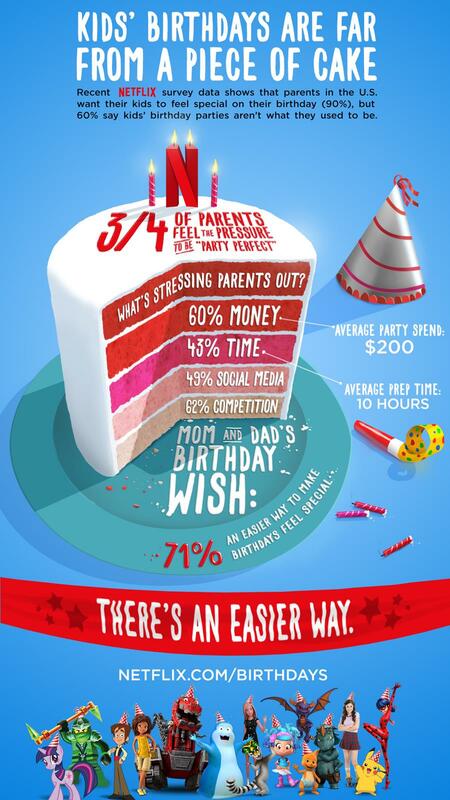 90% of parents want their child to feel special on their birthday, but 60% say birthday parties just aren't what they used to be. And that's 100% true these days. It's more of a competition among parents over who can throw the most unique, over the top, awe-inspiring birthday party. That's not really the point, is it? The point is to give our child a special party without adding an unbelievable amount of stress to our lives in the process! 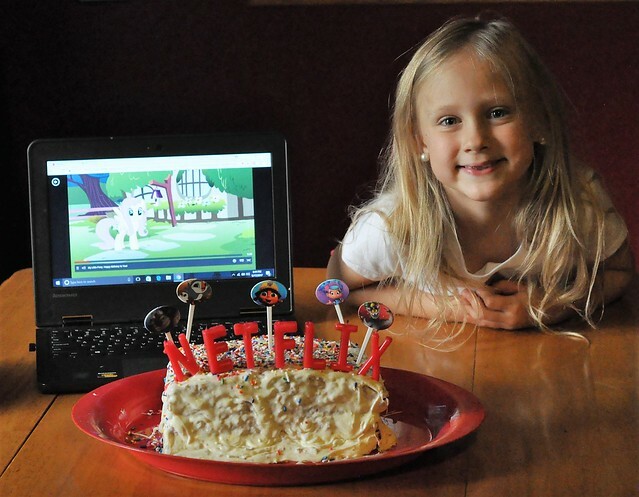 Thankfully, Netflix is there to help make YOUR child's birthday special! 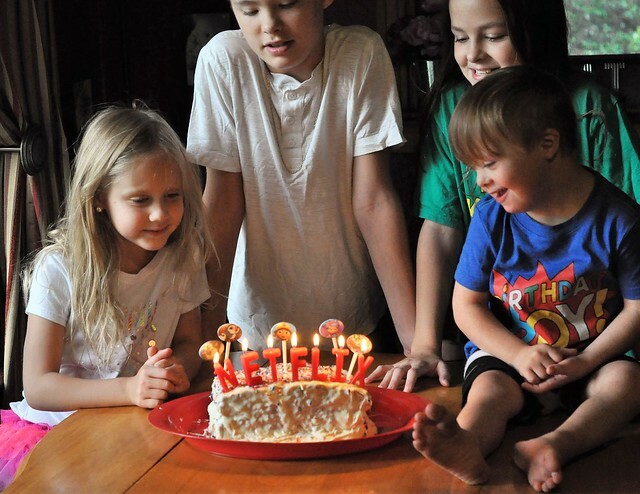 Last week, Netflix introduced Birthdays On-Demand. 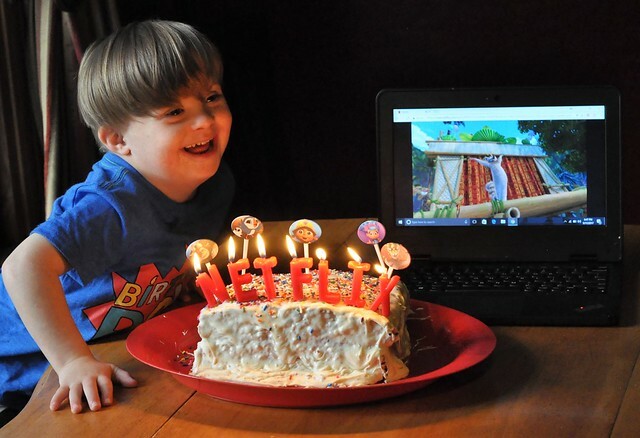 They now offer 15 Birthdays On-Demand featurettes, which include many of your child's favorites! The special birthday titles include Beat Bugs, LEGO Friends, LEGO Ninjago, Barbie, My Little Pony and Pokemon. 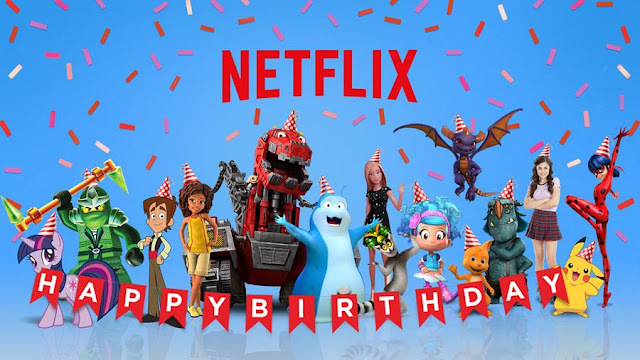 Visit netflix.com/birthdays to see all the featurettes, and surprise your child with a special birthday song that makes them feel like their favorite characters are singing just to them! Liam happily rocked out to Beat Bugs and Dinotrux, and Lily loved Barbie and My Little Pony. It makes me so happy when my kids get so excited over the simplest things! A simple party, a simple cake, entertainment at my fingertips and happy kids! 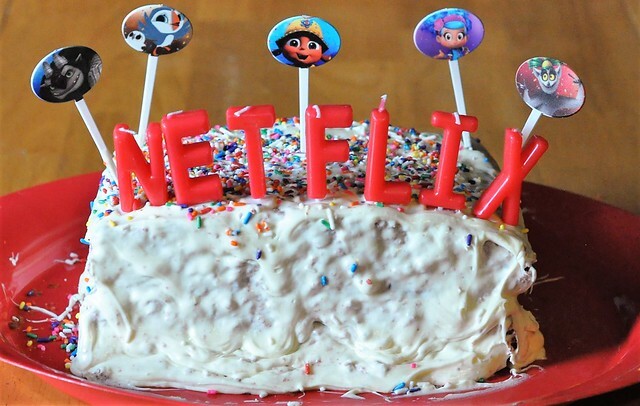 Adding Netflix Birthdays On-Demand is a birthday party hack I can stand behind!! !